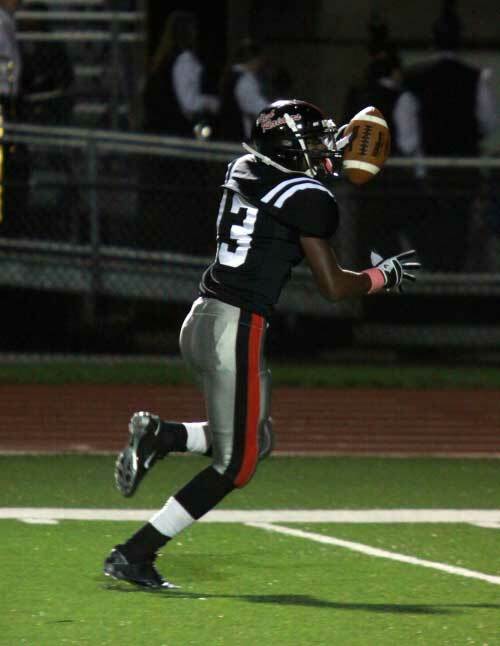 Coatesville finished third in the State in the combined AA and AAA state rankings at Ship. Battling Pennsbury and Central Bucks West has become a tradition for the Coatesville 4 x 400 team. SHIPPENSBURG—Back in 1992 a diminutive senior from Thousand Oaks High School in California set a new High School girls national record in the 100 meter dash with a time of 11.14. That young women’s name was Marion Jones, who went onto to be one of the most decorated United States Olympic athletes in history. 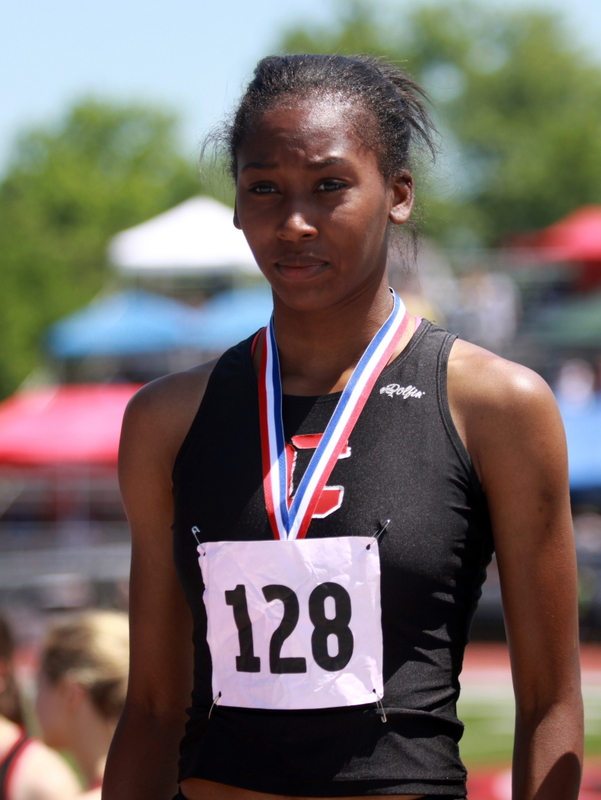 On Saturday, Coatesville senior Kenya Woodall may not have topped Jones’ record with her 100-meter dash time of 12.26, but it was fast enough to claim the Pennsylvania State championship in that event. 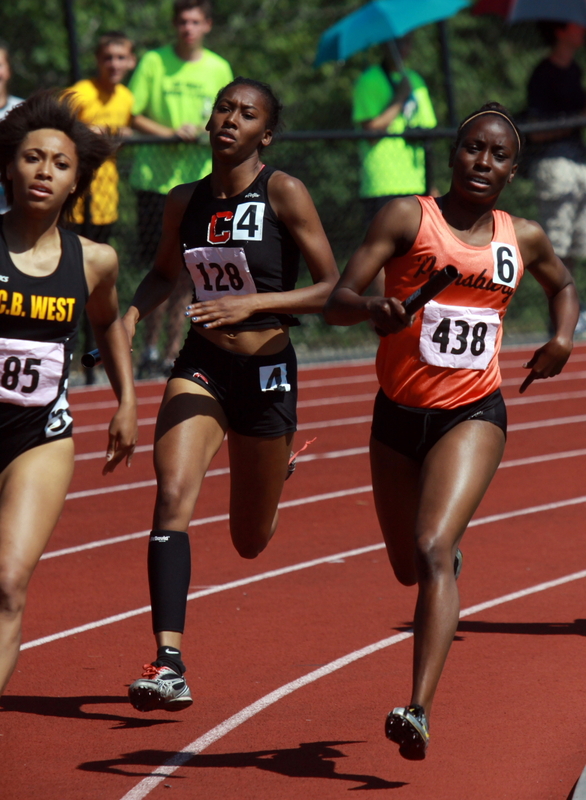 The gold medal in the 100-meter dash was icing on the cake of an amazing weekend at Shippensburg University as the best in the state in track and field converged on Seth Grove Stadium. 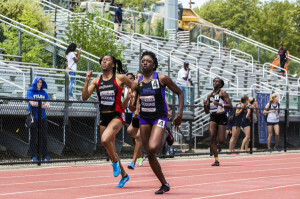 Woodall took home a second PIAA state gold medal, as her time of 53.40 in the 400-meter dash, was almost two second faster than her qualifying time. In the final Woodall finished ahead of Hempfield sophomore Sarah Helgeson who completed the circuit in 55.18. Coatesville finished fourth overall in the 4 x 400, and third in the teams standings at states this past weekend. 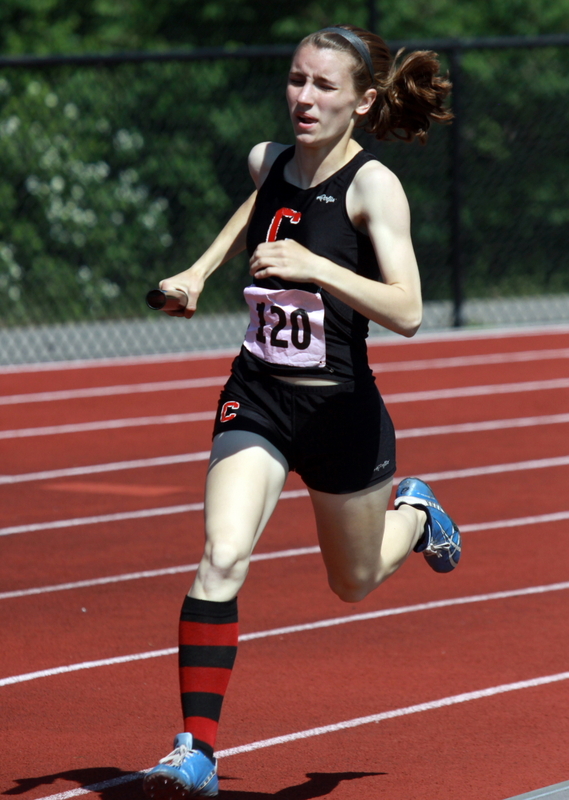 The 20 team points claimed by Woodall in the sprints helped propel the Red Raider ladies to a third place finish in the team standings, bringing home the PIAA bronze medal to close out a stellar high school career. A fourth place finish (3:52.57) just behind fellow District One combatants Strath Haven, Pennsbury and 2012 PIAA state champion Central Bucks West, who finished with a time of 3:49.80. On the boy’s side of the docket Red Raiders’s senior Aaron Willett claimed a third place medal in the 110-meter hurdles with a time of 14.15. Like anything in life the future is uncertain for just how far or how big a stage that Woodall will perform to, but if the PIAA championships are any indication, she is definitely on the right track, pardon the pun.